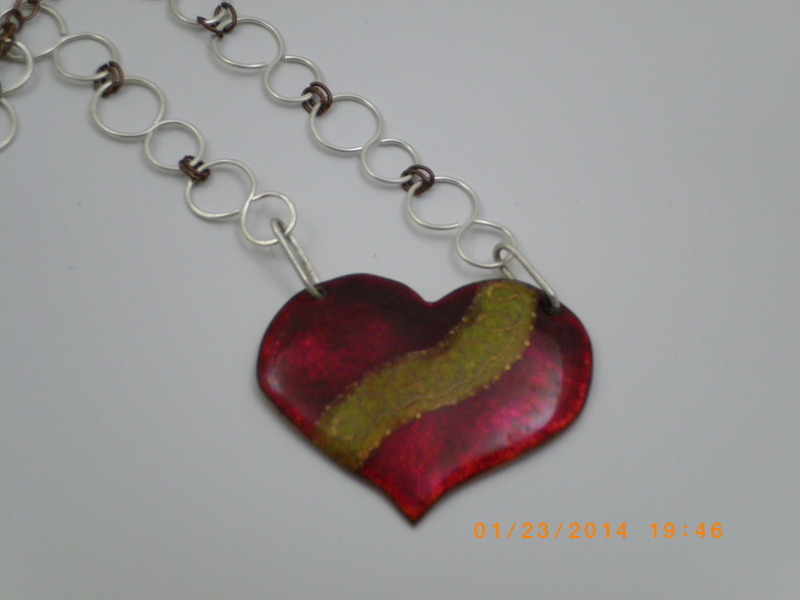 This hand forged copper heart is enameled in deep ruby red and gold, then accented with 24K gold. The hand made chain consists of eight sterling silver figure eight links held by together with copper rings plus 5 inches of copper chain on each end with a handmade copper hook closure. The heart is about 2 1/8 inches wide and overall length is about 20 inches.